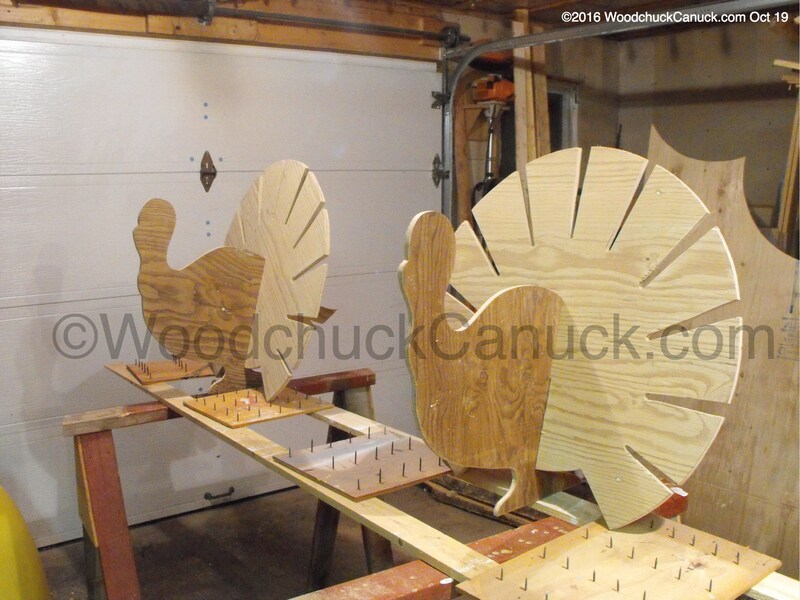 I got a call..no, not a turkey call… from a customer in New Jersey. 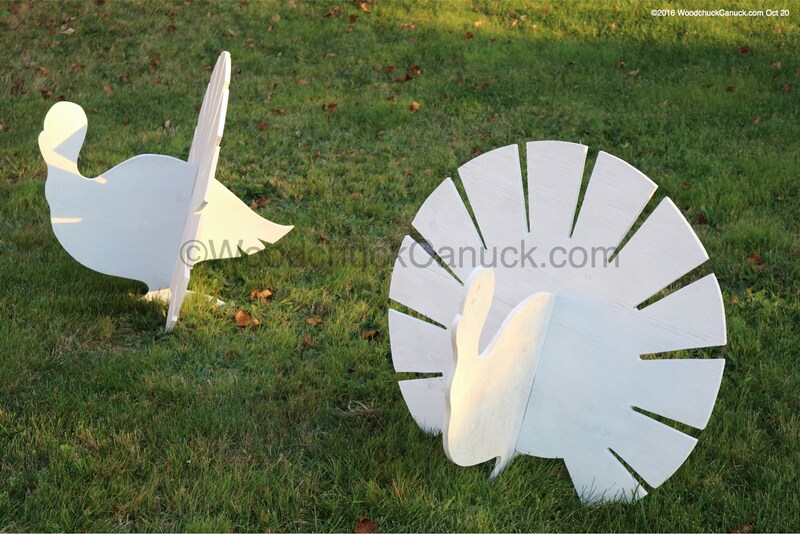 Seems she just loves these turkey yard art projects but cannot get anyone to make them for her. She wanted to know if I could do them. I typically do not build and ship these types of projects because the shipping is so expensive, a client typically declines. But, she put down a deposit and is willing to pay whatever the price it will be for shipping. 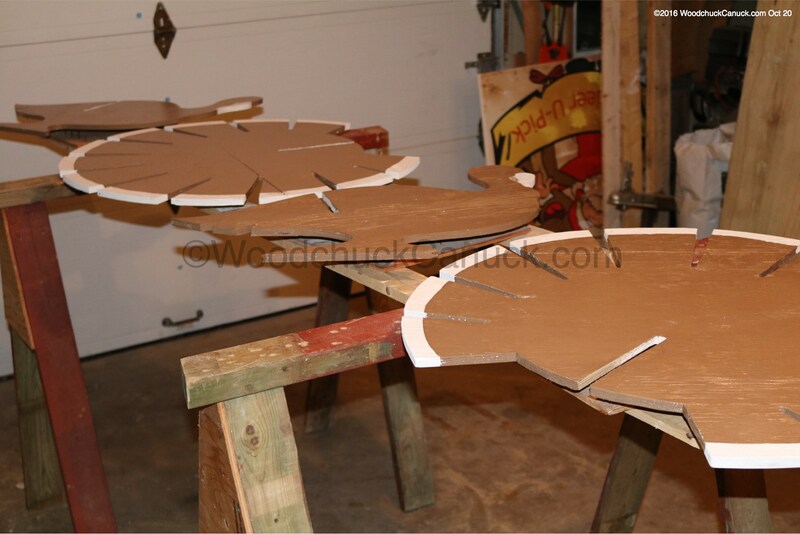 These are fairly large, big enough a woodworker could get three from one sheet of plywood. I used some smaller pieces of plywood for the bodies and cut into a full sheet to make to two winged parts. Fairly quick to cut out, the painting will take longer, as it usually does for this type of project. 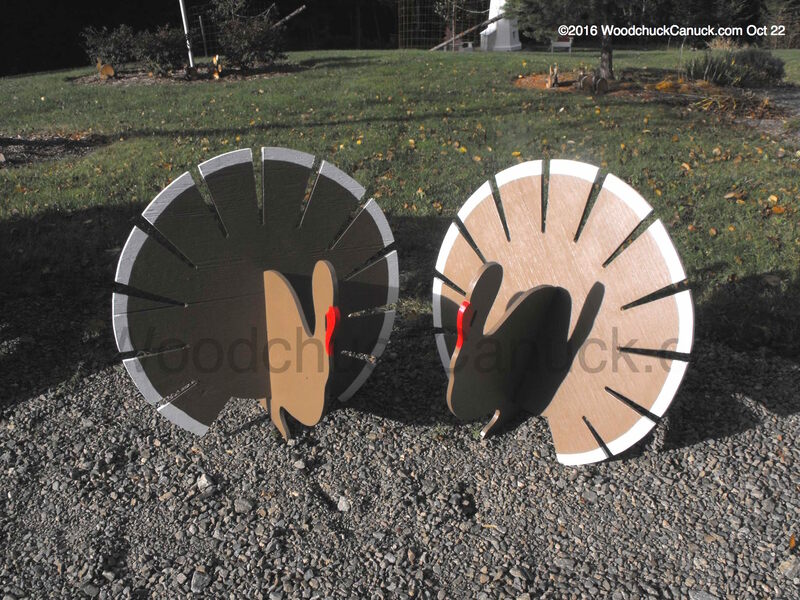 If you are looking to build your own turkeys, we sell the plans here in our online store. If you want them made and shipped to you, contact me for more information. First getting a coat of a quality primer to ensure good paint adhesion. 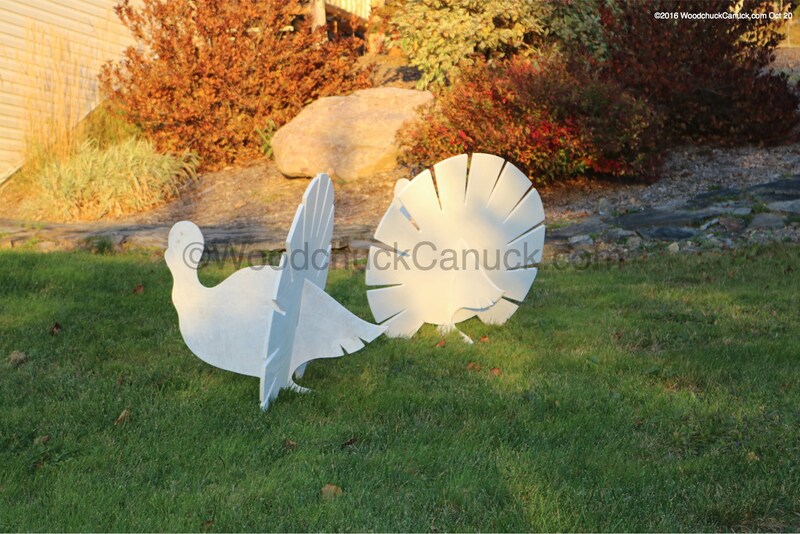 The all white turkeys made me think of ghostly gobblers roaming the field. And now, back on the rack for a shade of brown. Using Benjamin Moor’s Historic Colors, I think it was called Puritan Brown. I’ll have to double check.